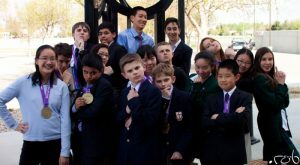 Each year, the top GVRSF projects advance to the national stage, the Canada-Wide Science Fair (CWSF). A spot on Team GVRSF is a Grand Award at the GVRSF, and is perhaps the most coveted prize awarded each year. 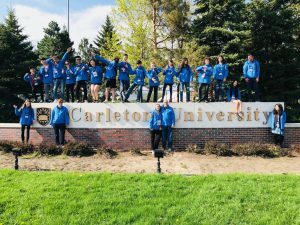 For this week-long event, team members travel to another city in Canada to compete with peers across the country. 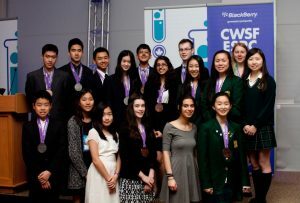 Students benefit both intellectually and socially at the CWSF as they interact with peers, professional scientists and engineers. Plaques, medals, trophies and cash awards may fade from memory, but the experience of competing with Team GVRSF will be remembered for many years to come. 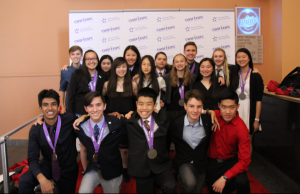 Students from Team GVRSF have historically excelled at the CWSF, bringing back top awards including Best Project Award in 2015. 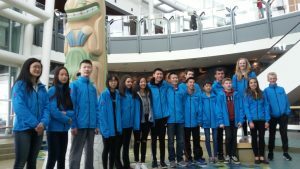 Some students were then selected to represent Canada at the International Science and Engineering Fair, where GVRSF students won the top prize, the Gordon E. Moore Award, in 2015 and 2016. Students who have participated at the CWSF level may also be selected to represent Canada at other international fairs such as the Taiwan International Science Fair. A list of all GVRSF Grand Award winners since 2007 can be found through this link.